One great thing about HLSC is that, as a member of the club, you can choose to sail on the lake whenever you want. 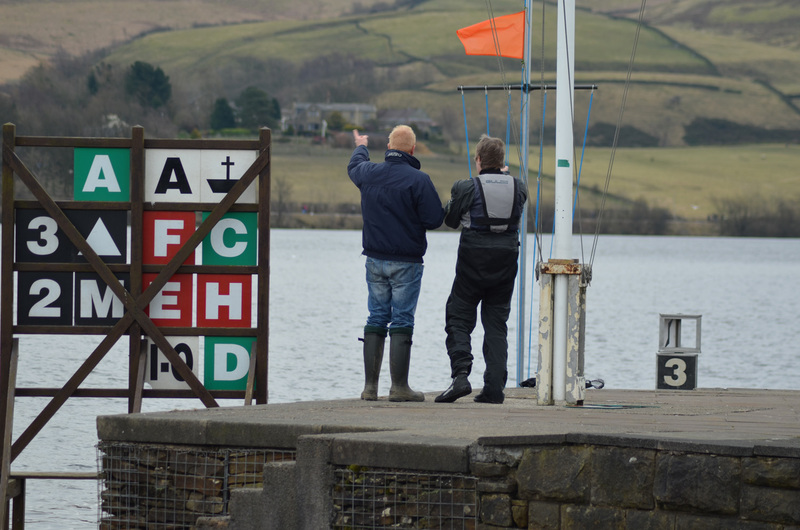 However if you decide that you would like to sail outside our normal club racing times (i.e. when there are no club patrol boats on the water) it is important that you are comfortable with the prevailing weather conditions and that both you and your crew are fit for those conditions and competent to sail in them. If someone has very little experience we would recommend that their sailing takes place when the safety cover is there. The Club holds three races on Sunday afternoons from the beginning of March to the middle of December. From April to early September, we also race on Wednesday evenings. Our Wednesday evening sailing is a welcome break in the work week and often has bigger fleets than those on Sunday. Members can go out for an informal social sail on Sunday afternoons and Wednesday evenings. It’s not compulsory that you have to join in the club racing and at these times there will be patrol boats around plus there’s the benefit of chatting to our members for a ‘bit of advice’. You will find they are always happy to help you. To introduce a bit of variety to our club racing programme, a number of special races of differing formats are run throughout the year. These events include pursuit and handicap races. During May, June, July and early August two races will be run ‘back to back’. This is the start time for the first race. There are also a number of special races held during the season. Please click here to check their dates.